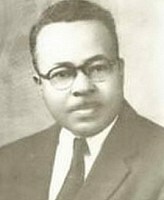 Henry W. Joynes, founder and former owner of Joynes Funeral Home, was born in Cape Charles, Virginia, March 31, 1903. A licensed mortician in the state of Virginia and the District of Columbia, he received his education from Tidewater Institute, Chesapeake, Virginia; Virginia Union University, Richmond, Virginia and H.E. Dolan College of Mortuary Science, Philadelphia, Pennsylvania. In 1932, he established his first funeral home in Washington, DC. In 1938, he moved to Warrenton, where he established the main branch of his business, serving Fauquier County and surrounding areas. Throughout his forty-five years in the profession, Henry demonstrated the classic characteristics that made Joynes Funeral Home's reputation of compassion, dignity, and attention to detail, the cornerstone of their philosophy. He continued his dedicated and devoted service even as his health failed, as he always attended funeral services, literally until just a few months before he passed, one day short of his 81st birthday, March 30, 1984. Augustine Victoria Joynes was born in Capeville, Virginia, Northampton County, November 29, 1909. She was a graduate of the Tidewater Institute, Chesapeake, Virginia. After her marriage to Henry W. Joynes, she took residence in Philadelphia, Pennsylvania and Washington, D.C. respectively, before joining the Warrenton community in 1938. 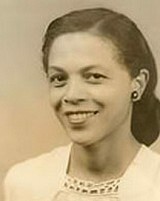 In addition to church activities, she was a life member of the NAACP and held positions in the local chapter. A loving and devoted wife, mother, and grandmother, she was a role model and an inspiration to her family, never ceasing to give wise counsel and unconditional love. Her gentle, humble and compassionate spirit was reflected in the service and comfort that she gave to the bereaved. As co-owner and vice president of the Joynes Funeral Home, she devoted many hours to the advancement and growth of the business, but always putting first the well being of her constituents. George Woodson Joynes, manager of Joynes Funeral Home, continues the tradition of ultimate professionalism and works tirelessly in rendering service to bereaved families. He is a graduate of Virginia State University with a Bachelor of Science Degree in Psychology and a minor in General Science. 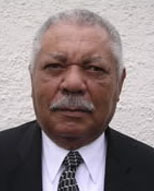 He joined the family business after graduating from Eckels College of Mortuary Science in Philadelphia, Pennsylvania, and became a licensed funeral director and embalmer in the District of Columbia and in Virginia, respectively. He serves in various local organizations and is a member of the National Funeral Directors Association and the Virginia Morticians Association. He is currently manager of Joynes Funeral Home and is a trustee of First Baptist Church, Warrenton. Darryl S. Joynes joined the family business in 1987. He received his mortuary science training from Catonsville Community College (The Community College of Baltimore County), Baltimore, Maryland. He became a licensed funeral director and embalmer 1990. 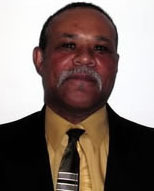 Darryl also holds an Associates Degree in Biblical Studies from Logos Christian College in Jacksonville, Florida. Darryl continues the Joynes tradition of service and is dedicated to being a consummate professional at all times. Darryl is a member of the National Funeral Directors Association as well as the Virginia Morticians Association. He is currently the assistant manager at Joynes Funeral Home and an active member in several ministries at Faith Christian Church in Warrenton. 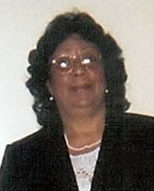 Lillian A. Walker has been a devoted assistant since 1999. A native of Fauquier County, she is a 1965 graduate of Taylor High School. She is a Deaconess at Salem Baptist Church, Marshall, VA and a member of the Easter Star, Warrenton, VA. Lillian's compassion is demonstrated in the personal attention that she extends to the families we serve. 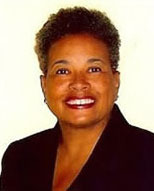 Sylvia Swann Brown joined the firm in 2007 as a valuable assistant, providing attentive support to bereaved families. Sylvia is a warm and caring person who also serves as an usher and greeter at Faith Christian Church in Warrenton, VA. She is a recent retiree from United Airlines and she enjoys gardening, walking, and Bible study. Daris Carter is a graduate of Fauquier High School and it's department of Cosmetology. She has been a licensed cosmetologist since 1986 and a licensed cosmetology instructor since 1998. Her work reflects her creativity, conscientiousness and concern in hair styling and make-up. 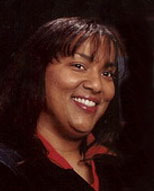 She has been a part of the staff since 1997. James M. Sims is a Marshall native and a 1969 graduate of Fauquier High School. 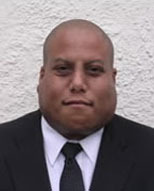 He has been a valued assistant with Joynes Funeral Home for more than two years. He is a member of Mt. Zion Baptist Church, St. Louis, Middleburg where he is a Deacon, president of the Community Outreach, vice president of the Usher Board, and a member of the Senior Gospel and Men's Choirs. Kelly Walker joined the firm in 2006 as an assistant and has become a valued asset to the firm. Kelly can be seen on most services and many local removals. He is a 1996 graduate of Fauquier High School and a firefighter with Warrenton Fire Department. 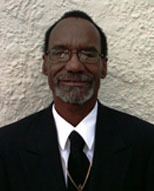 Steve W. Carter has been a dedicated assistant since 1992. He is a 1969 graduate of Taylor High School. Steve also works in the audio-visual ministry at Faith Christian Church, Warrenton, VA. He is an industrious person, always trustworthy and reliable in the fulfillment of the services we share. 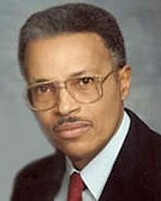 William S. Lawson joined the firm in the 1960s and was an experienced and dedicated assistant. He regularly assisted on all services and was a road warrior, spending many hours traveling to various hospitals and nursing homes, making removals for the firm. He was Superintendent of Sunday School and President of the Usher Board at Walnut Grove Baptist Church, Warrenton. William's faithfulness and dedication were truly reflected in the caring services that he continuously provided. He will be truly missed by the his family, coworkers and the entire community.